The League of Women Voters is committed to promoting an environment beneficial to life through the protection and wise management of natural resources in the public interest by recognizing the interrelationships of air quality, energy, land use, waste management and water resources. 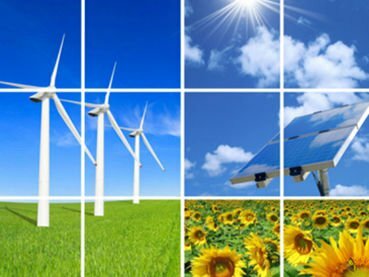 The mission of the Steering Committee for Environmental Action and Advocacy is to inform and engage members across the state on critical environmental issues and policies impacting Massachusetts, and to support and promote sustainable energy and environmental policy, legislation and local action. The Committee coordinates a series of forums, live events and webinars, called the “LWVMA Climate and Energy Solutions Series. Two important reports on climate change were released in late 2018: the United Nations Intergovernmental Panel on Climate Change special report and the US National Climate Assessment. Together, these reports sound the loudest alarm yet that devastating climate change is happening now and will continue to get far worse without immediate, large-scale action. In the starkest possible language, these reports tell us of the looming, catastrophic impact if we fail to respond appropriately and quickly. The world is warming at an unprecedented and accelerating rate, and the window to effectively mitigate and adapt to the increasingly destructive effects of climate change is closing fast—leaving no “reset” option. The effects of climate change are already impacting our lives, public health, and our economy. These reports emphatically state that major efforts to decrease our carbon emissions and transition to a clean energy economy must be made within the next 10 to 12 years. Failure to take bold action now will result in a future with conditions beyond our capacity to manage. Because of the complexity and politics of the issue, climate change has largely been left on the cutting-room floor of political agendas. Deliberate obfuscation of the facts by fossil fuel interests creates a cloud of confusion that keeps the public in the dark. Fossil fuel interests outspend environmental advocates 10:1 on climate lobbying, and that money has been very effective at stopping work on this critically important, existential issue. Climate change will easily slip back down the queue of concerns unless the public insists that elected officials prioritize immediate action on climate change. The League has fought hard for meaningful climate action since the 1960s, and we continue the fight now. The most effective action we can take as individuals is to call and write our elected officials—those with the power to act at the level required—and demand that they take meaningful action on climate change without delay. The League of Women Voters has been at the forefront of the environmental protection movement for decades, consistently supporting legislation to preserve our nation’s natural resources and protect our public health. We support legislation that seeks to protect our country from the physical, economic and public health effects of climate change while also providing pathways to economic prosperity. LWVMA supports and opposes legislation after reviewing the bills filed each 2-year session. For information on the LWVMA supported state legislation related to the environment, including energy and resource conservation, natural resources, and water resources are currently being considered and will be listed soon. For information on efforts at the national level, coordinated by LWVUS, click here. The recent Transportation and Climate Initiative (TCI) agreement signed on December 18, 2018 is seen as a major regional effort in its pledge to cap regional greenhouse gas emissions from the transportation sector – the largest source of greenhouse gas emissions in the region at 40%. The TCI plan will be modeled on the “cap and invest” approach used in the Regional Greenhouse Gas Initiative (RGGI), focused on emissions’ reductions from utilities. Six of the 9 TCI states are part of RGGI, with the exception of New York, New Jersey and Maine. As described in a Boston Globe article about the agreement, “With the addition of just New York, the coalition would constitute more than one-fifth of the nation’s population and a quarter of the country’s overall economic output. If the states were a single country, they would rival Japan as the world’s third largest economy.” TCI states are committed to developing a plan for moving forward by the end of 2019. While a plan has yet to be developed and implemented, the blueprint exists in the RGGI program. More importantly, the agreement sends a clear message that the region understands the imperative to act on climate. With the latest climate reports telling us that climate change is accelerating at an alarming rate and is already threatening our health, the environment and our economy, the urgency to act has never been clearer. We have the means; we need the political will and leadership to move forward. Note: this section will be updated when the 2019-2020 bills are posted. As concern about human-induced climate change mounts with each new storm, flood and drought, there is growing interest in available solutions that can work on a large scale to reduce emissions and support the transition to clean, renewable sources of energy. Pricing carbon to reflect its social cost (i.e., health and environmental impacts throughout the full life cycle of a product – costs typically not borne by the emitters) is a form of market-based environmental reform and is considered one of the most efficient and cost-effective means of reducing emissions. Revenues raised through social-cost pricing of fossil-fuel based energy can be designed as largely or completely “revenue neutral” to offset higher fuel costs for businesses and individuals. Funds can also be reinvested in the economy to promote industry and job growth in the renewable energy sector. LWV supports carbon pricing through fee and rebate approaches that are revenue neutral or revenue positive and cap and trade systems as long as low- and middle-income households receive rebates or tax cuts to protect them from financial impacts and protections are put in place for vulnerable businesses. LWVMA is a member of the Massachusetts Campaign for a Clean Energy Future, a growing coalition of environmental, business, faith and civic organizations dedicated to passing carbon pricing legislation and policies that assure Massachusetts continues its national clean energy leadership. In the 2017-2018 legislative session LWVMA supports carbon pricing legislation introduced by Senator Michael Barrett (S1821) and by Representative Jennifer Benson (H1726). Fact Sheets on each have been prepared by the coalition. 100% of the revenue would be returned to households, businesses, and institutions. For the CO2 charges paid by people, each state resident would receive an equal share of the total money collected. For charges paid by businesses and other institutions, each would get a rebate in proportion to its share of total employment in Massachusetts. Additional rebates would be provided to households in rural areas and to businesses that are energy-intensive and face stiff out-of-state competition. The fee would start out at $10 per ton of CO2, rising $5 a year until reaching $40 a ton. 80% of the revenue would be returned via rebates to households and employers, while 20% would be used to fund green infrastructure investments in transportation, clean energy, and protection against the impacts of climate change. By rebating a high proportion of the funds through a progressive formula, the bill would ensure that low- and moderate-income households do not come out behind. Because the bill rebates funds to employers based on their number of employees, most business sectors would come out ahead or about even, and there would be a net gain to employment in the state. The fee would begin at $20 per ton of CO2, and rise $5 a year until it hits $40 per ton, the same as in S1821. In the prior session LWVMA gave testimony on carbon pricing legislation introduced by Senator Barrett: S1747, An Act Combatting Climate Change. While pricing carbon to reflect its true cost to society would have the greatest and fastest impact if enacted at a national and global level, action at the state level has often paved the way for action on a broader scale by providing working models and experience, as well as leadership. California, Oregon, Washington and British Columbia signed an accord in 2013 to coordinate their carbon emissions pricing systems where possible, opening the door to regional agreements. State level carbon pricing legislation is gaining momentum, with New York, Oregon, Rhode Island, Utah, Vermont and Washington joining Massachusetts to introduce carbon pricing legislation. Interest in carbon pricing is growing across North America. Canada is requiring all provinces to implement carbon pricing by 2018. Mexico is adding cap and trade to its carbon pricing system. For a comprehensive description of carbon pricing approaches and implementation efforts, click here. Become informed about climate change and carbon pricing as a solution. Watch the webinar featuring renowned historian of climate science, Dr. Naomi Oreskes. Learn how human-induced climate change impacts the country and the NE region to better understand the importance of reducing emissions. Learn how carbon pricing works in general. Understand the Carbon Pricing Basics. Learn how a carbon pricing approach impacts MA. Read the summaries of the two MA bills, S1821 and H1726. Read the report prepared by Regional Economic Models, Inc. (REMI). View a video presentation of the REMI report given at the Massachusetts State House on July 2013. Stay informed of current activity related to carbon pricing legislation by visiting this webpage (www.lwvma.org/the-environment). Contact your state representatives in the House and Senate and urge them to support S1821 and/or H1726. State representatives want to hear from constituents and respond to issues based on volume of calls, emails and letters. Short, personal messages from voters have a real impact! See below for some talking points. Practice life-style changes that can help reduce your personal carbon footprint. There is strength in numbers. Join the LWVMA! The threat from global warming: Climate change – also called climate disruption – is the greatest environmental threat facing the planet. Its impact has already begun to effect locations around the world, including the United States through rising sea level, worsening drought and flood conditions, more intense “super” storms, and accelerated relocation and extinction and relocation of many species..
Goal: cut climate pollution. Massachusetts state law requires that we cut greenhouse gas emissions (primarily carbon dioxide (CO2) and methane) to 25% below 1990 levels by 2020 and to at least 80% below 1990 by 2050. This will require a dramatic shift from fossil fuels to clean energy such as solar and wind, as well as heightened efforts to improve energy efficiency in existing and new structures and systems. How: add a carbon pollution charge to fossil fuel prices. Most economists, from conservative to liberal, agree that the most cost-effective way to cut carbon pollution is to add a charge that raises the prices of fossil fuels such as natural gas and gasoline (electricity generation would be exempt, because it is already covered by other programs). This would give energy producers and consumers a strong incentive to shift to clean energy – while having the freedom to decide how to do so. Where would the revenue go? Carbon pricing could be revenue neutral, with all funds returned to residents, businesses and institutions, or carbon positive with most revenue returned to those who pay the fee, but some dedicated to boosting energy efficiency and clean energy adoption. Any approach considered must ensure that living standards and competitiveness are protected. Pollution will fall: the CO2 and methane pollution that causes climate disruption would be cut by more than any single regulatory policy that the state operates now or is considering. Households and businesses will be protected: modeling shows that we could give back to low- and moderate-income households at least as much money as they would pay in higher costs for fossil fuels. After getting rebates, almost all businesses would face quite small changes in their net costs, positive in some cases, negative in others. The economy will benefit: there would be little overall impact on the state economy, with small gains in important measures such as average personal income and Gross State Product. The LWVUS Climate Change Task Force encourages League members to consider adopting a Climate Initiative as part of their local program at their annual meetings this year. There are two issue areas in particular where Leagues can make a real impact on greenhouse gas emissions — energy efficiency in buildings and renewable energy. The Grassroots Action Priorities section of the LWVUS Climate Action Toolkit includes detailed information about climate solutions. To share your League’s story, please send your answers to these questions to Task Force Chair, Eleanor Revelle (er@revelle.net).